Last week the International Standard Organization (ISO) published the 3rd edition of the ISO 1101:2012 standard. ISO 1101 is entitled "Geometrical product specifications (GPS) -- Geometrical tolerancing -- Tolerances of form, orientation, location and run-out." 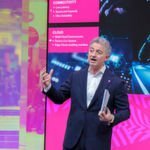 Together with a series of supporting standards published in 2010 and 2011, ISO 1101 defines a new era of GD&T (Geometric dimensioning and tolerancing). And there is also ASME Y14.5-2009 with similar capabilities and notation. In the past GD&T has been defined for technical drawings (2D) only. In conjunction with ISO 16792 and ASME Y14.41, ISO 1101 and ASME Y14.5 can now be used directly on 3D models, which makes their application much more effective. Another significant development in data modeling is STEP, ISO 10303, in short, a vendor-neutral file format for the exchange of 3D product model data between 3D CAD/CAM systems (and a lot more). For this the STEP Application Protocols AP203 and AP214 are used. 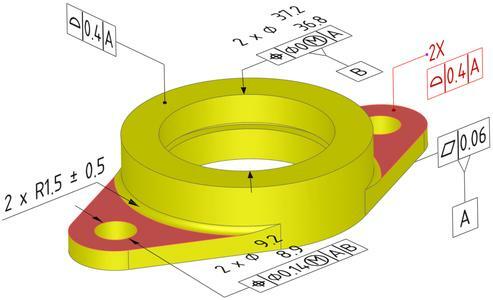 Today all relevant mechanical CAD-Systems are able to import and export high quality STEP data, thus allowing consistent data sharing between CAD systems and CAM/CAI/CAE and other applications. CAD data interoperability is constantly tested and further enhanced within the www.CAX-IF.org group. 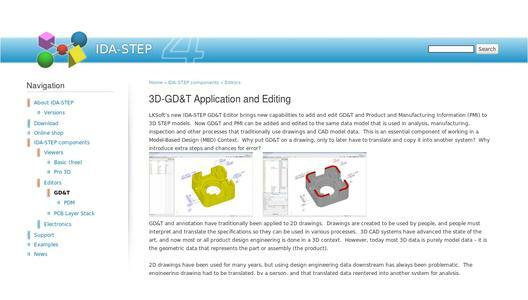 Two years ago, development of a new STEP Application Protocol AP242, "Managed Model Based 3D Engineering" was initiated. STEP AP242 will replace AP203 and AP214. AP242 will support the new era of GD&T, extending the power of GD&T into 3D space with unprecedented capabilities. The draft of ISO/CD 10303-242 is currently being intensively tested within the CAX-IF. The IDA-STEP GD&T Editor is the first tool that takes advantage of new ISO 1101, ASME Y14.5, ISO 16792, ASME Y14.41, and ISO AP242. You can use GD&T Editor to apply and understand dimensioning and tolerancing specifications to any 3D STEP model exported from any CAD system. Please visit us at the Control Fair to learn more and see a demo of the IDA-STEP GD&T Editor.